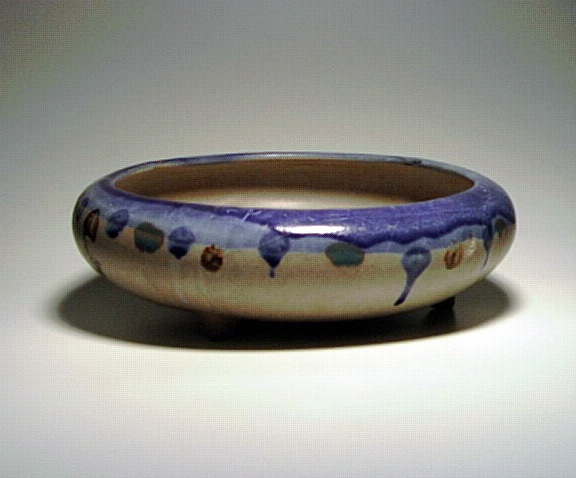 Description: Zanesville flower bowl in Zasco glaze. About 10 inches in diameter. 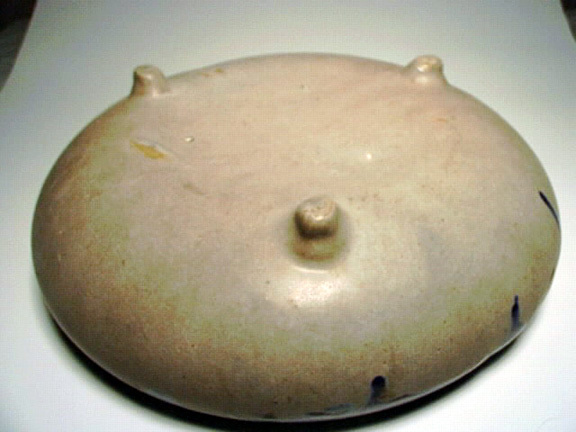 Probably shape #66. Glaze miss on botton as shown.